The long-awaited bridge between the Chinese territories of Hong Kong and Macau will open on 23 October, making it the longest sea crossing in the world. 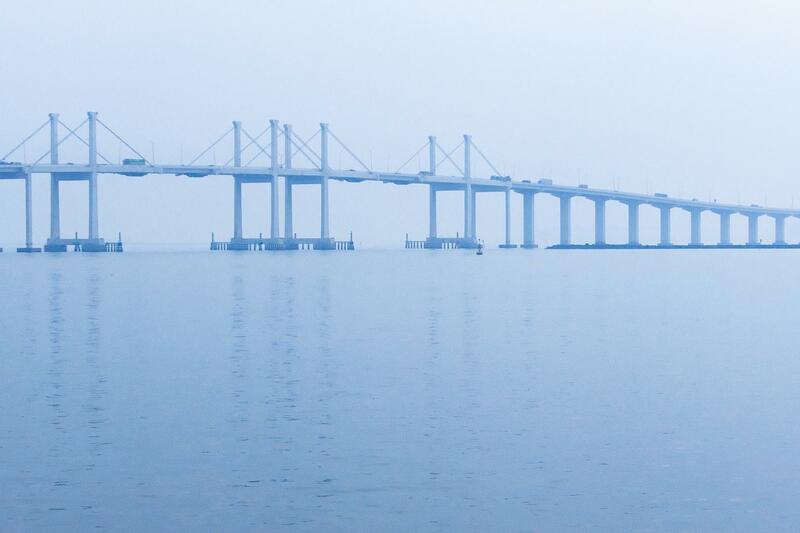 The 55km bridge, which connects the cities of Hong Kong, Macau and Zhuhai across the South China Sea, is designed to boost economic development between the region, according to the official bridge website. Construction started in 2009, and it was originally slated to open last autumn. According to the South China Morning Post, China’s central government’s liaison office in Hong Kong confirmed the opening ceremony for the bridge would be in Zhuhai, a city in China’s Guangdong province, next Tuesday, but provided no further details about whether the bridge would be fully operational then. “At such short notice and without any details, how can we make the necessary logistic arrangements? It will cause chaos and great inconvenience to the passengers,” Eddie Choi, a spokesman for coach operator One Bus Hong Kong Macau, told the newspaper. The bridge will cut travel times between the three cities in Southern China to around 30 minutes, making it feasible to commute between them. Currently, the only transport between Hong Kong, Macau and Zhuhai is by an hour-long ferry. The bridge is part of China’s Greater Bay Area development plan, proposed by Beijing to link more tightly the 11 cities of the Pearl River Delta, which includes semi-autonomous territories of Hong Kong and Macau. The Greater Bay Area, which covers almost 22 square miles, is home to 68 million people and China’s booming industrial heartland. When open, the bridge will also cut travel time from Macau and Zhuhai to Hong Kong International Airport, one of Asia’s top airline hubs.